Creating lasting impressions as your partners in web design. Click here to browse examples. 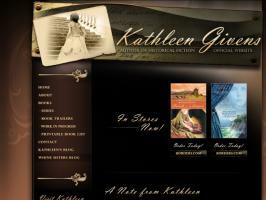 We work with many fabulous authors of all genres of fiction and non-fiction on web design, online marketing and more. Need an ecard? We specialize in ecard mailings. Contact us today for a quote! You did a wonderful job on my banner!! I love it. I received the banner and it's beautiful! You did an outstanding job! The banner is perfect! What a wonderful job you do! Thanks to both of you. This is a first class operation. You are really doing an outstanding job! You are simply the BEST! I love that you respond so quickly to all my requests and that you're so willing to answer all my computer illiterate questions! I recommend you to all my friends. The banner ads (and other promotional opportunities) are affordable to the common man (or woman) and absolutely gorgeous! There is nothing we love more than a creative challenge. Do you have an idea? We can make it reality. Our creative team has the design, programming and technical skills to bring it to life for your website. Find out more and see examples in our portfolio. Author Web Designs By Tara has over 10 years experience working closely with authors to create their own brand for their website. Our websites are always easy to navigate, sophisticated and asthetically pleasing to the eye. You'll never get lost on one of our websites. 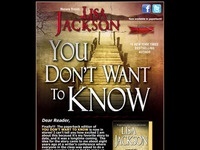 Lisa Jackson (and her team) say "Thanks, Tara!!! Great job...looks fabulous "
Ready to start your journey for your own website? Contact us. Let us take care of all aspects of your e-newsletters. We offer a powerful Email Manager that will collect all emails and making addresses that come through your web forms. Browse our newsletters. Browse our web designs .